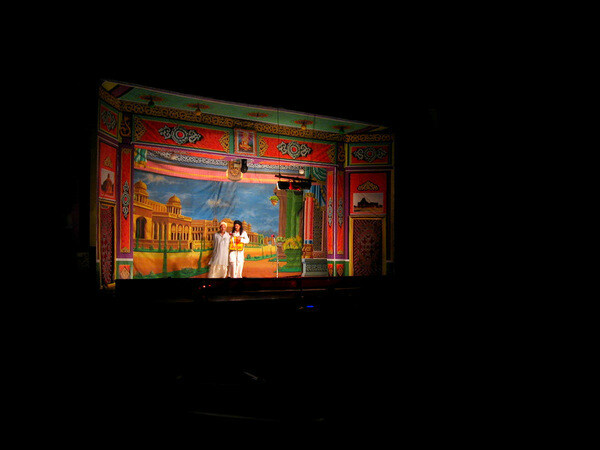 The stage at Gubbi Veerana Theater in Central Bangalore which is rented out to Drama Comapnies from around the Karnataka State to stage plays. It has curtains with different backgrounds and the play itself is more like a multi-act, stand up comedy show. 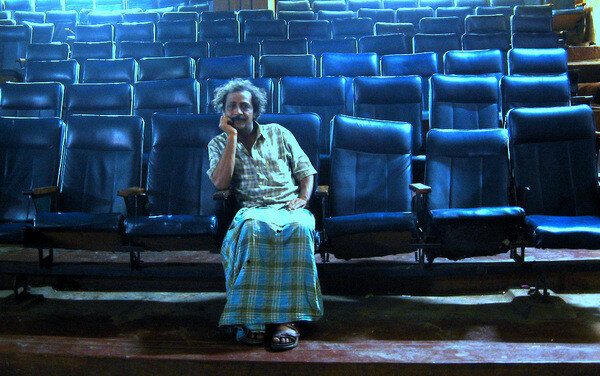 The actors, like the person shown above, live in the theater itself. They come from all parts of the state and go back home only for festivals, holidays. The members of the Drama Company is family. 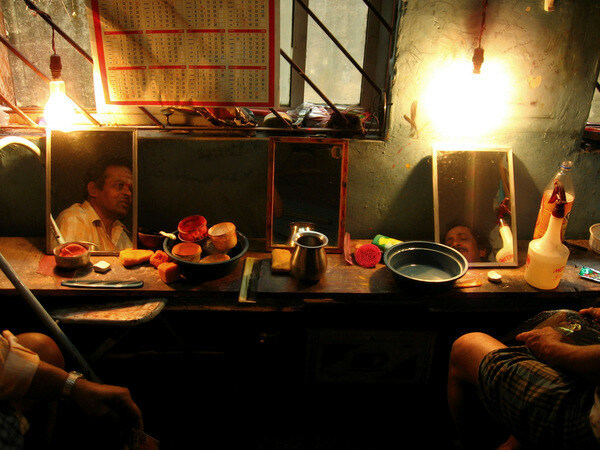 The threadbare green room with naked bulbs and basic make up.